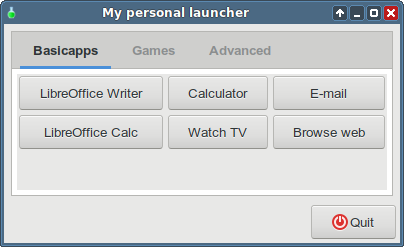 Ever wanted to automatically create a launcher GUI using just simple definitions? Just need your favorite programs to launch from a simple and fast GUI but didn’t have time or energy to create one? Now this is possible! 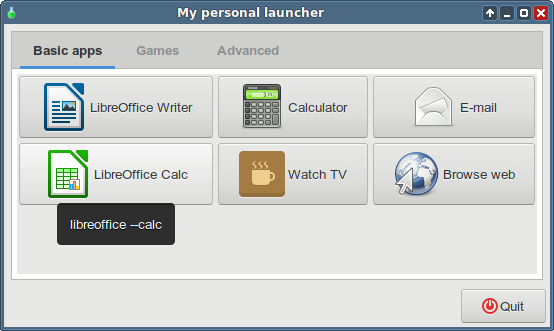 A new GUI-based program launcher generator is now available at https://github.com/manuel-192/yaygg. It is the first release, so there may still be bugs, but initial tests work OK. Thanks! I was wondering if you could use it in the rescue ISO? It may make life easier for Antergos newcomers (and why not even seasoned users too) having all useful commands in one launcher. Then it is just the question of organizing the input file wisely, to include the most useful commands there. Made a minor fix in the tab titles. As you can see in the initial picture above, two words “Basicapps” have no space between the words; this is now fixed. Congratulations! This is very usefull indeed as @joekamprad said! @manuel I am sure I will make use of this! If you can create a timestratch app? Made a new release 0.1.4, it modifies the usage a bit. Now the title is in the input file, not as a parameter. @joekamprad What do you mean by that app? Don’t understand. New release 0.1.5 allows running multiple instances of the generated GUI program. Previously only one instance could be started. It is a universal truth that our time is limited… and fortunately nobody knows exactly how. 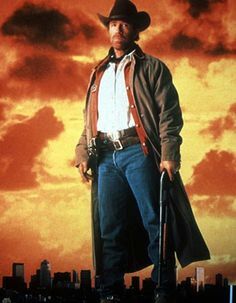 This is completely AMAZING @manuel . I love the way you made your app look! Thanks! The look is very minimalistic, mainly because of yad. And the window in the picture is GTK based on Xfce, probably the decorations are different on other DEs. Still, I really like how it looks. For a YAD application, it sure looks more advanced than most! Now the new release 0.1.6 supports having icons on the buttons, and tooltips for the buttons should work, too. That blackish thingy under the LibreOffice Calc button is an example of a tooltip. It shows the actual command that will be executed when the button is pressed. Note that the usage of this generator has slightly changed, see more on https://github.com/manuel-192/yaygg. Note that the only change from the previous version is the main window title in the beginning of the file.